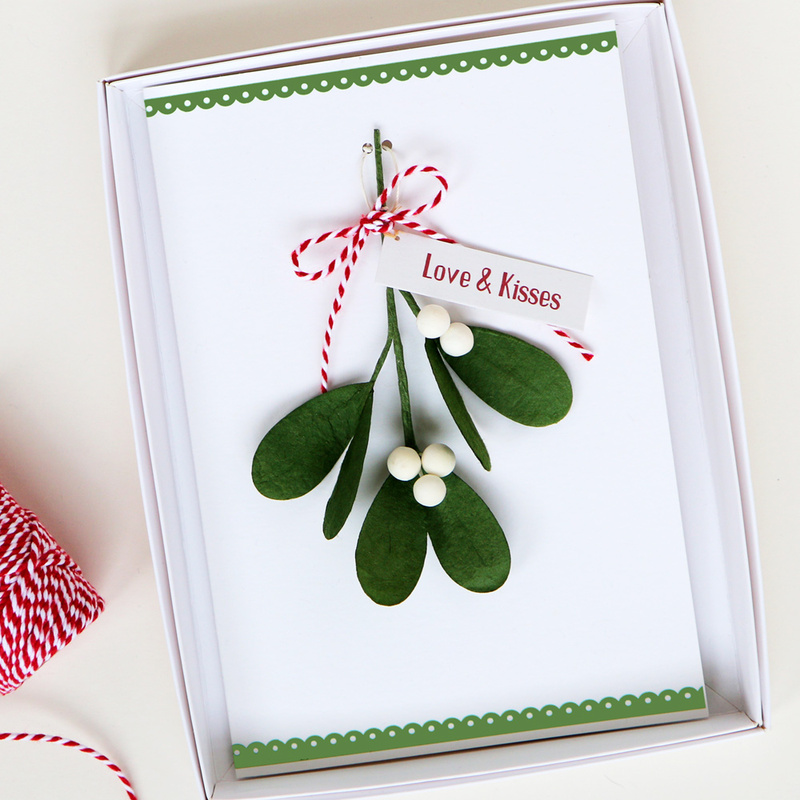 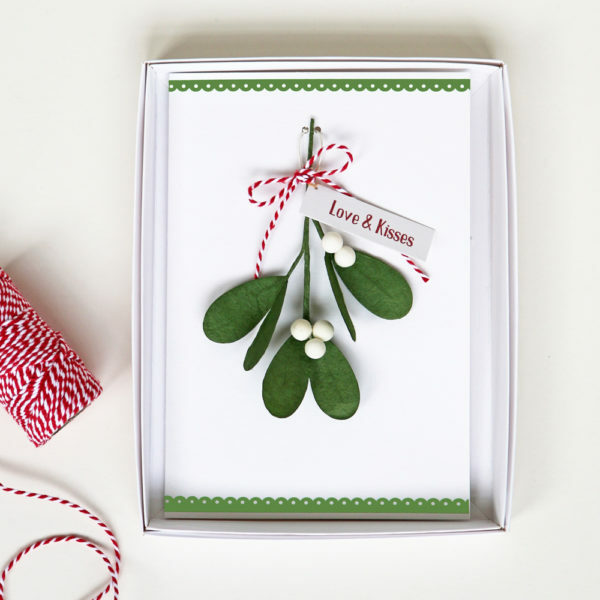 Boxed Christmas card with a beautifully hand crafted paper mistletoe sprig. 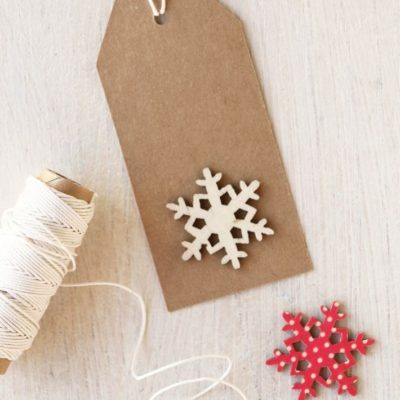 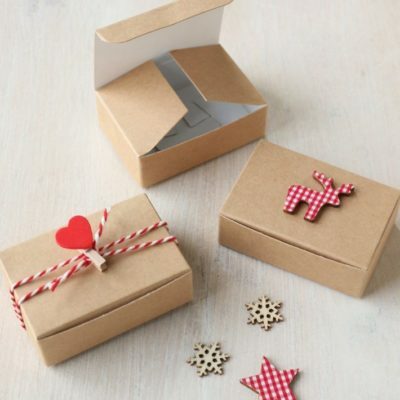 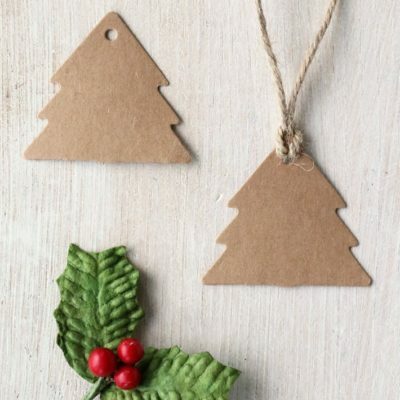 It doubles as a unique gift as the mistletoe can be detached from the card and hung as a Christmas decoration. Please select the tag message ‘Merry Christmas’, ‘With Love’ or ‘Love & Kisses’. 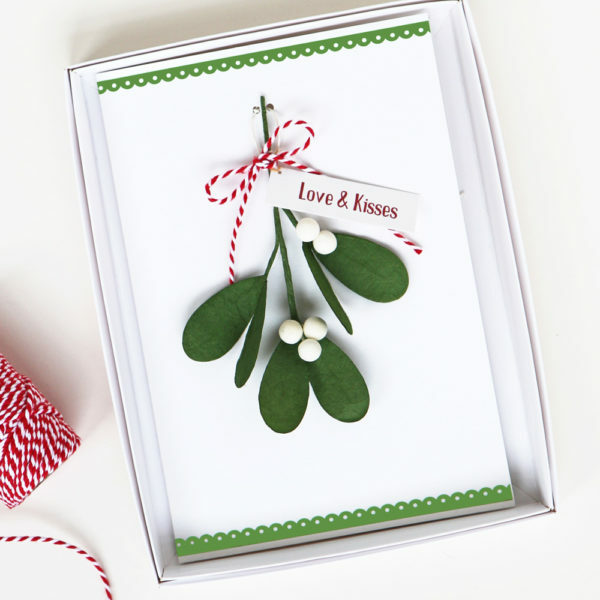 If you would like to add a personalised message inside the card please select above (£1 extra). The card is 100% recycled, size 150 x 210mm.